The tourism department of the Gorkhaland Territorial Administration (GTA) will be developing places, such as Darjeeling, Kalimpong and Kurseong, to promote adventure tourism in the hills. Necessary steps will be taken to make these places more than just a tourist destination. 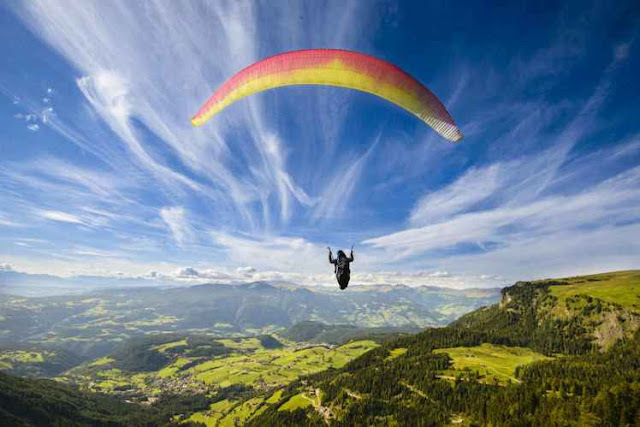 People visiting Darjeeling, Kalimpong and Kurseong for holidaying will now also be able to take part in adventure activities. This move is motivated toward consumer attitude, which is changing, and travellers now want to get more involved in various activities. Also, to get away from the run-of-the mill experiences, travellers these days are now looking out for more experiential and adventurous experiences. GTA is now working to develop infrastructure in the hills and will soon be offering tourists with facilities like hill biking, paragliding, rafting and cycling. Besides promoting adventure tourism, major steps will be taken to make travellers aware of homestay facilities in these regions. Referring to this development, an official from the GTA tourism department said that ‘camp stay’ options will also come up near Tiger Hill. Sangay Sherpa, who looks after adventure tourism, informed that travellers visiting the hills can opt to enjoy rafting at Malli in Kalimpong. For mountain biking, one can go till Chatakpur in Darjeeling. Places like Sandakphu and Singalila are also gaining popularity for trekking. As per news reports, 80 percent travellers in Darjeeling are below 40 years, and it is expected that adventure tourism will help boost the number. Officials from the GTA tourism department also informed that apart from developing infrastructure for homestays and adventure tourism, measures will also be taken to ensure security and safety of tourists. The tourism department of the Gorkhaland Territorial Administration (GTA) will be developing places, such as Darjeeling, Kalimpong and Kurseong, to promote adventure tourism in the hills.